May 9th – May 15th. 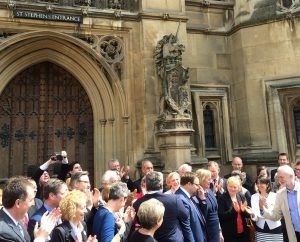 On Monday May 9th it was great to welcome our 2 new Labour Members of Parliament Gill Furniss and Chris Elmore to the House of Commons on such a sunny day. Great to have them on our team, I look forward to working with them. On the afternoon of Wednesday the 11th May I spoke in a debate on the UK steel industry. 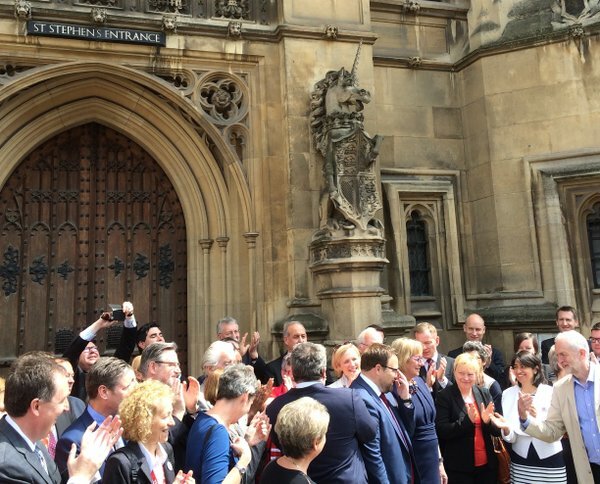 I was joined by many of my Labour colleagues, from both Welsh and English constituencies. “Steel and the steel industry are vital to the UK, Wales and my constituency. The Tata steel plant in Port Talbot is in the neighbouring constituency of Aberavon and the Trostre plant is in the nearby constituency of Llanelli. Hundreds of my constituents go to work in those places every day. I have personal knowledge of the community that has grown up around the plants. My father worked at the site of the Steel Company of Wales, which is now Tata Steel. When I was at Cynffig Comprehensive School I played hockey for the Steel Company of Wales. It was the centre of the community. The plant put food on our plates at home and contributed enormously to our social and sporting lives. The same sense of community is felt today by the 4,500 workers and their families who still work at and depend on the plants. A constituent of mine, Andrew, started as a technical apprentice at British Steel, Port Talbot, in 1994 and worked his way up to the role of laboratory manager. Having spent his entire working life at Port Talbot, Andrew is passionate about steel and the steel industry and is committed to its future in the local community, often championing the company and the apprenticeship schemes. Andrew has made a great many friends over the years, and many of these friendships are forged in a way that cannot happen in other industries; 12- hour shifts in a challenging environment pull people together in a way that makes them feel more like family, and when pain is felt by their colleagues it is felt by all. From initial despair to waves of hope, the plant continued to operate under the most trying of circumstances. I have asked questions in the Chamber, but I wish to press the point again. Will the Government use the current threat to the UK steel industry as an opportunity to change the way we do things so that new innovations and a thought-through structure can be established that will protect the steel industry for many years to come? Innovation is already taking shape in Neath Port Talbot. SPECIFIC—the sustainable product engineering centre for innovative functional industrial coatings—is an academic and industrial consortium led by Swansea University, involving several strategic partners, and funded by the Engineering and Physical Sciences Research Council, Innovate UK and the European regional development fund via the Welsh Government. SPECIFIC’s vision is to deliver buildings that generate, store and release their own energy, which is an example of a radical and transformative energy solution using buildings as energy systems. Steel is a key element of that, and SPECIFIC is working with Port Talbot steelworks and its downstream operations to develop functional coatings for steel, which rely on high quality steel. Together, they are creating a pipeline of products for the future that will help to ensure that we have a sustainable and competitive steel industry.